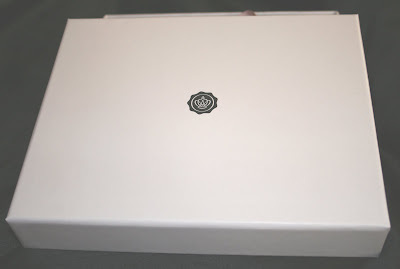 Out of all the subscriptions I signed up for, Glossybox is the one I was most excited about! My first box is actually the 2nd since it started in February. It came last Monday. I have only seen really good things about it. 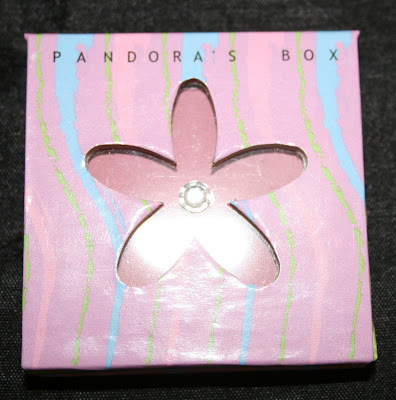 Compared to some of the other boxes it had nicer samples. This box is a little more expensive; it comes in at $15 a month. I believe when I checked my credit card statement it was $15 exactly. With taxes built in. This is what the box looks like. A pretty pale pink. It's also bigger than the other boxes. Was wrapped really nice with black tissue and a pink ribbon. These were the contents! I couldn't believe how much was in there! This little packet was an extra. 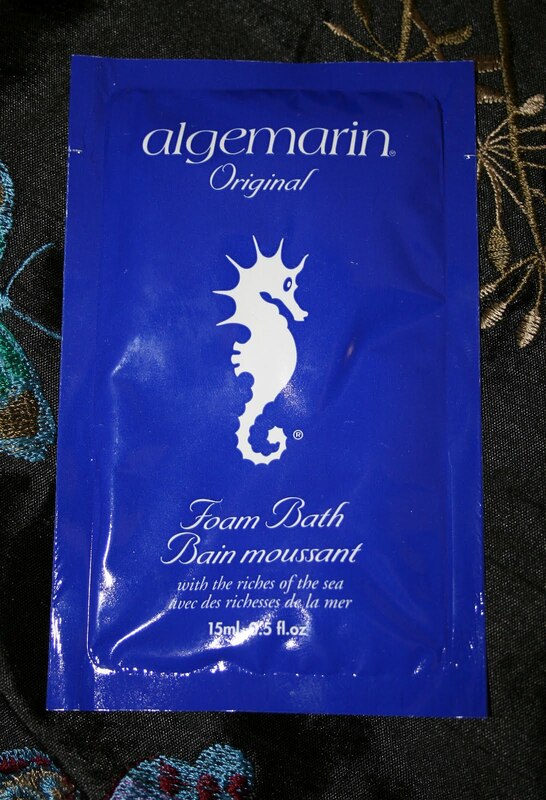 It is made from extracts of seaweed, algae and mineral salts which give the body a tonal quality that previously was only obtainable from hydrotherapy or sea bathing. I'm happy with this little extra because I generally take 1-3 baths a week. I love my baths! Next is the Aveeno daily moisturizing lotion. It contains natural colloidal oatmeal blended with rich emollients and is clinically proven to moisturize 24 hours. I was really happy to receive this. It's actually quite a large sample! I've always wanted to try it, but haven't got around to purchasing because I have *so* many lotions that I need to use up. I've cut myself off at this point! I've been doing good. I'm guilty of buying pretty lotions and often buy them for the scents. Curse you B&BW! Next is the Evian Facial Spray. It rehydrates dull, tired skin, and is great for setting and renewing your makeup throughout the day, keeping you looking fresh, healthy and beautiful. I am curious about this product and also perplexed. It's so strange! Is it just water in a can?? If it is, how can it possibly set and renew makeup? I'm thinking makeup running all down my face. But, of course I'll try it. If it feels good, I'll keep it in my purse for those super humid days. Next is Sebastian Re-Shaper Hairspray. Brushable, strong hold hairspray for all hair types. Bends any movement into shape with long-lasting hold and humidity protection all in one. So, I'm not really big on hairspray. I generally wear my hair straight down (I have to flat iron it's a frizz ball) or curled on occassion. However, I'll try it next time when I curl my hair. I use a wand which holds my curl all day anyways, so I never feel the need to use hairspray. If it works to help control frizz...then bonus. Bring on summer so I can test out this product! 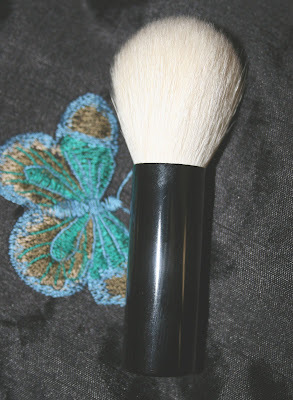 Up next is a Kabuki brush by Bailey Cosmetics. The luxurious brush is made with sheared goat hair. Wow! I don't really know what a kabuki brush is and how it differs from my other brushes, but the quality is definitely there! I'm not exactly where to use it yet and truthfully because of the cost of it, I'm scared to! 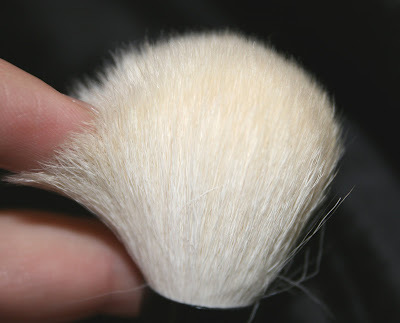 Here is a bit of a closeup so you can see how beautiful this brush is...and incredibly soft! 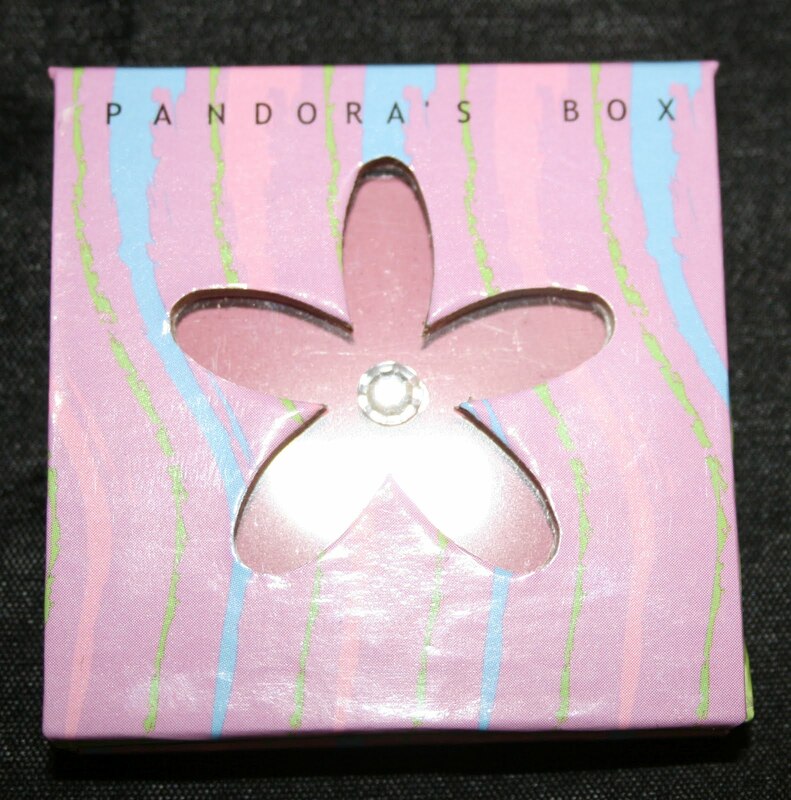 Last but not least, Pandora's blush in St. Tropez. It's a beautiful pink blush that can be used all year around and added to any bronzer. This brand was designed for professional use and are pigmented so they will last all day long. I need blush, I don't have blush..I'm thrilled! 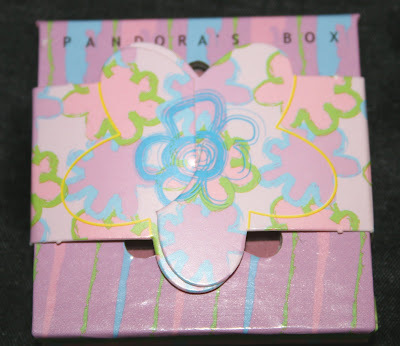 The packaging came like this..a little cutesy...upon further research of the company, I learned their packaging is meant to resemble makeup in the 50's. This is what it looks like after you take the cardboard "ribbon" off. That's a little gem in the centre. The cover opens up and is held down with an invisible magnet. This is the colour. It really is a gorgeous colour and will be flattering to most skin tones! 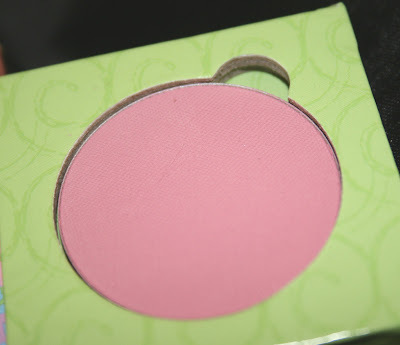 The blush is also magnetized to the bottom. 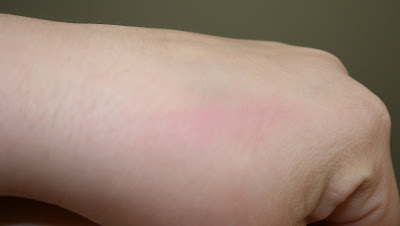 I know this is a little hard to see, but this is a swatch on my hand. It's about 3 coats, as I was trying to get it to show up on camera. The package also came with a 40% off online for glossybox clients! I'll definitely use it because I love a good deal! There was also a product mini catalogue for Sebastian. I know some people also received a flyer for Bailey, but I didn't. There were 4 different products you could have received from Bailey.. the kabuki brush, a lipgloss in one of 2 colours, antishine powder and pressed powder foudation. I'm jealous of the March box! I subscribed at the start of April so April will be my first box, I wish I signed up in March cause this box looks awesome! Will do! Thanks :) I will pop by your blog! 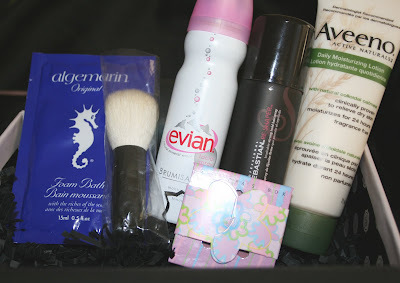 :) Love beauty blogs!